Are you feeling the pinch with your mortgage repayments each month? What about the credit card debt, is that under control? How about just having some extra cash to enjoy a well earned holiday? 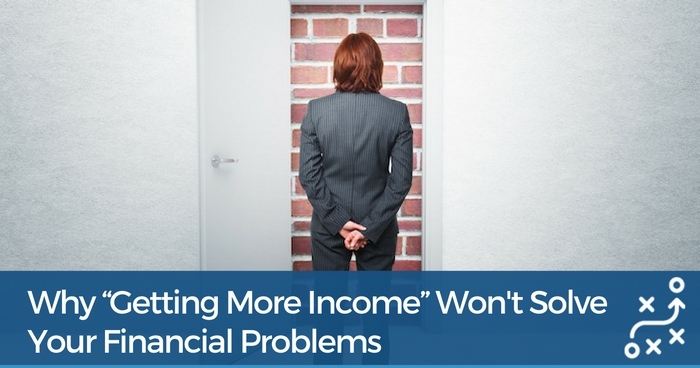 More income won’t solve your problems. You see, we all have goals, dreams and desires with which to spend our money on and often that is the driving force in generating more income. 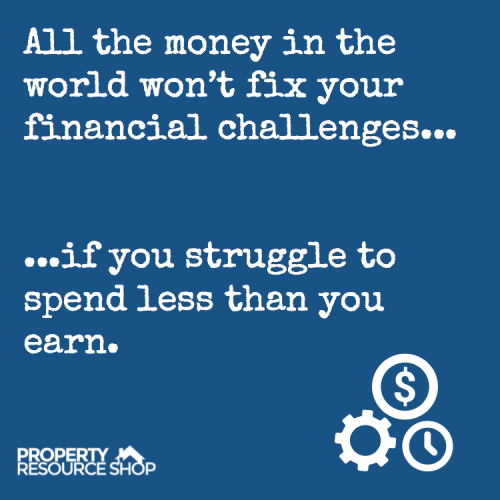 But if you struggle to manage your own budget by spending less than you earn, all the money in the world won’t fix your financial challenges. David Taylor shared a classic example of this in an ABC News report last week. According to David, Westpac has revealed a rise in bad loans across both business and household lending. It means more homeowners are falling behind in their mortgage repayments. Humans (particularly Australians) like to spend… and if there’s any surplus available – it’s generally not saved. So while interest rates continue to drop, the increase in disposable income is not being saved for a rainy day. Let’s be brutally honest here…. If you want to create cash you need to control the flow of it first. That means spending less than you earn! Learning income producing property investing strategies is only part of the journey to becoming a successful property investor. More projects and more income will only complicate your life further if you don’t have your existing finances under control. I know it sounds counter intuitive… but I can tell you: I’ve been there. The only way out is to manage your own expenses before you start creating more income. If your intention is to become financially free, you need to take a good hard look at your own personal finances. Don’t be lured into ‘magic pill strategies’ that promise to solve all your problems by making you rich… it will actually do the opposite. Become the Chief Financial Officer of your own personal income and expenses by spending just 15 mins a day on my Cashflow Planner. With only 18 weeks until Christmas, this is the perfect time to take the control back of your finances!